Determining the age your pet becomes a “senior” is based on many factors; such as breed, size of pet, and lifestyle. In general, when your dog turns 7–8 years of age or your cat turns 8–9 years of age, we consider him or her a senior pet. As a senior pet, preventive wellness exams become even more important. The earlier we detect a disease or health problem, the chances improve for a better response for your pet. Senior pets are very good at hiding their ailments from their owners. 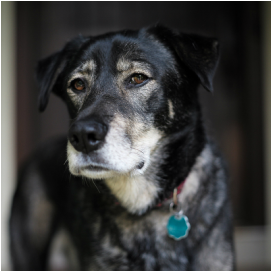 Wellness exam visits can provide insight into your senior pet’s aging process. Great advances have been made in the treatment of many senior pet ailments to provide them with the quality of life they deserve, and to preserve your bond with them. Quality preventive care is essential to the health of your pet, and we want your pet to live a long and happy life! We have the diagnostic tools and onsite laboratory capabilities to diagnose disease process in the early stages. If you have any questions or concerns, our team will be happy to discuss them with you. Please contact us to schedule your pet’s senior pet wellness visit. This wellness visit may be scheduled with other needed vaccines or yearly lab tests.